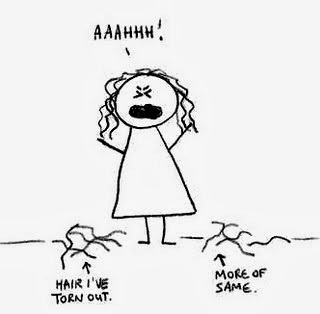 Nothing to report, really -- I just want to express the frustration of a genealogical researcher who has spent pretty much the whole day putzing around in the halls of time and has come up with nothing. I've looked at so many sites today, databases, forums, etc. etc. and haven't come up with a crumb of information, not even a lead. This is the thing about genealogy -- it's days, weeks, months of boredom punctuated by moments of great joy and excitement. When something breaks open, it's a thrill, but most of the time, it's just plain drudgery. Following Max Langer's trail . . .
Now that school has started again, I have much less time for genealogy, but I'm plugging along. I found and ordered two small books: one is an 1890 history of the "lunatic asylum" at Goettingen, written by the man who was the director for many years, including the time that great-grandfather Max Langer was there, and the other is a book on a weaver's revolt in Silesia (remember that Max Langer's father was a master weaver in Niesse).